This week our featured fanart is “WW Easter Eggs” by deviantART artist Znuese. Well first of all, this past weekend was Easter as most of you should know, so a happy belated Easter to all. 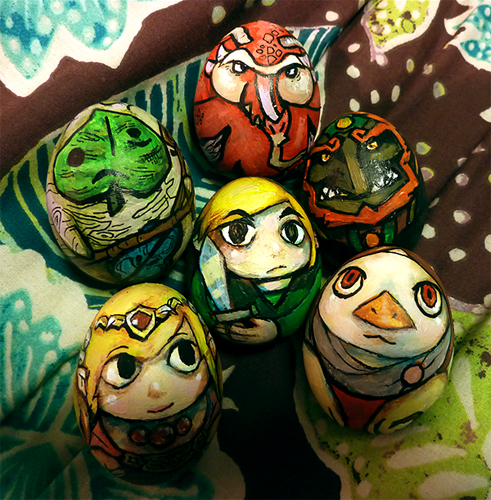 In the spirit of (belated) Easter, our featured fanart for the week are these lovely Wind Waker inspired Easter eggs, hand painted and featuring six well known characters from the game in the most adorable fashion. Frankly, I applaud anyone who can manage to squeeze Valoo into an egg format and still make him look as adorable as he does. What do you guys think?